My friend's baby shower was yesterday and here is what I knit up for her. 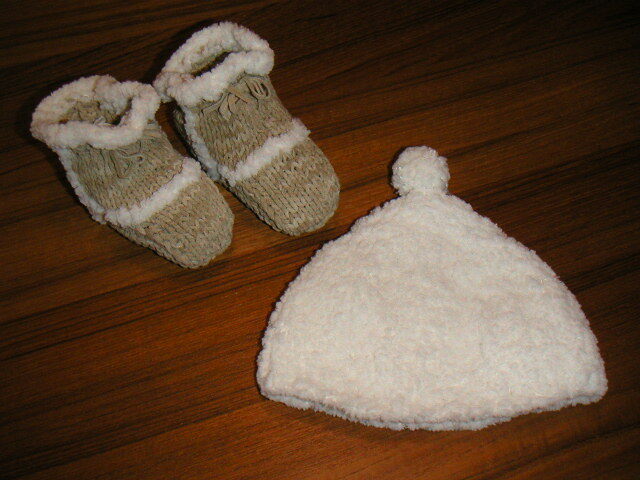 It's another pair of Ugg booties with a matching hat. The hat was made with the remaining Berroco Plush yarn. The only change I made in the booties was to add a drawstring tie for a better fit. I think they probably would just slip off otherwise.